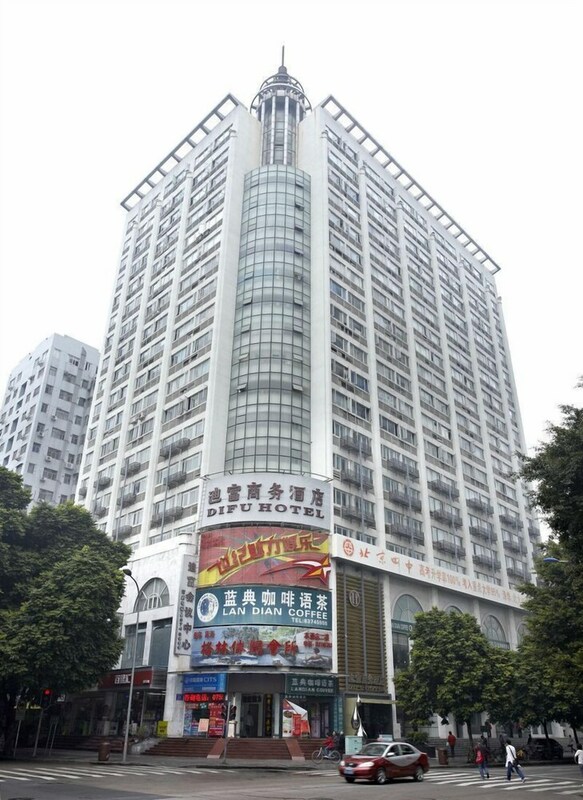 Located in Futian, this hotel is within 1 mi (2 km) of Shenzhen Central Park and Huaqiangbei. Shenzhen Convention and Exhibition Center and Dongmen Pedestrian Street are also within 3 mi (5 km). Yannan Station is only a 3-minute walk and Tongxinling Station is 7 minutes. Along with a restaurant, this hotel has a fitness center and a sauna. WiFi in public areas is free. Additionally, spa services, a business center, and tour/ticket assistance are onsite. All 159 rooms offer free WiFi and free wired Internet, LCD TVs with digital channels, and in-room massages. Showers, phones, and desks are among the other amenities that guests will find. Difu Business Hotel features a sauna and a fitness center. The hotel offers a restaurant. A business center is on site at this 3.5-star property. Public areas are equipped with complimentary wireless Internet access. This business-friendly hotel also offers spa services, tour/ticket assistance, and an elevator (lift). Breakfast is available for a surcharge and served each morning between 7:30 AM and 9:30 AM. Code Blue Coffee - This restaurant serves breakfast, lunch, and dinner.